Spinners have been creating yarn with drop spindles for millennia and Ashford have a wide range of styles from which to choose. All are made from Silver beech hard wood. 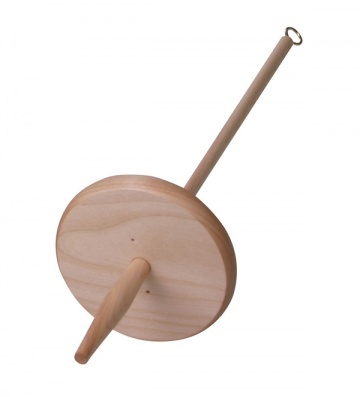 This is the eve- popular bottom whorl spindle with removable whorl and unique wire hook.